After a year in business, Eighth & English did something courageous and difficult. Owner Chase Blowers and his new head chef Pedro Rangel completely revamped the menu without abandoning the identity the restaurant had worked to build. 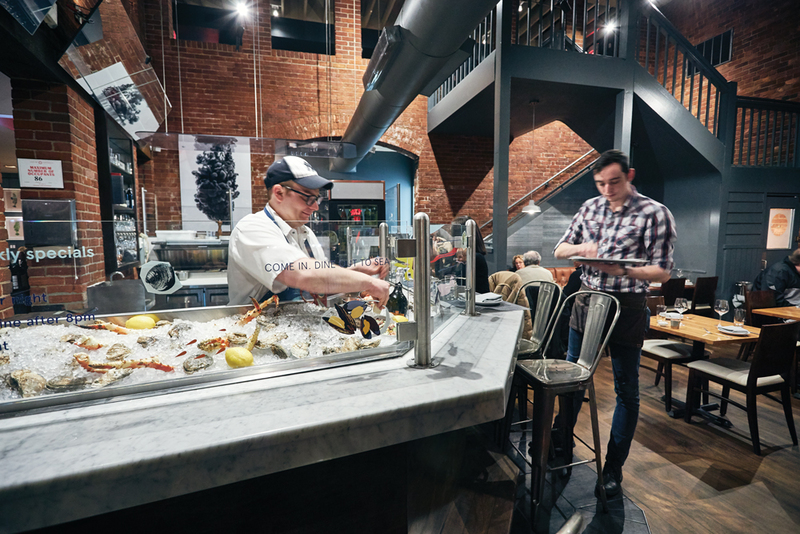 The focus on seafood remains, as well as the eclectic international feel of the flavors, but the restaurant has moved to mostly small plate offerings instead of entrées. Some of the old selections remain on the menu. The new dishes—shareable, with a home-style quality—have a focus and individuality that makes them immediately memorable. This is the kind of place where you crave certain things and go in knowing exactly what you want to order. Cold crab is served in a sardine tin with a little dill, lime, and onion, and some vadouvan (a kind of curry powder); whipped tuna pâté comes with pickled red onions, whole-grain mustard, and rye toast from Allez Bakery. Simple enough, perhaps, but this sense of restraint, with each element making its own contribution, is precisely what makes the new Eighth & English so good. Blowers and Rangel kept favorites like the spaghetti di nero, a squid ink pasta with lobster, pistachios, and mint gremolata, and they are every bit as good as they were before. 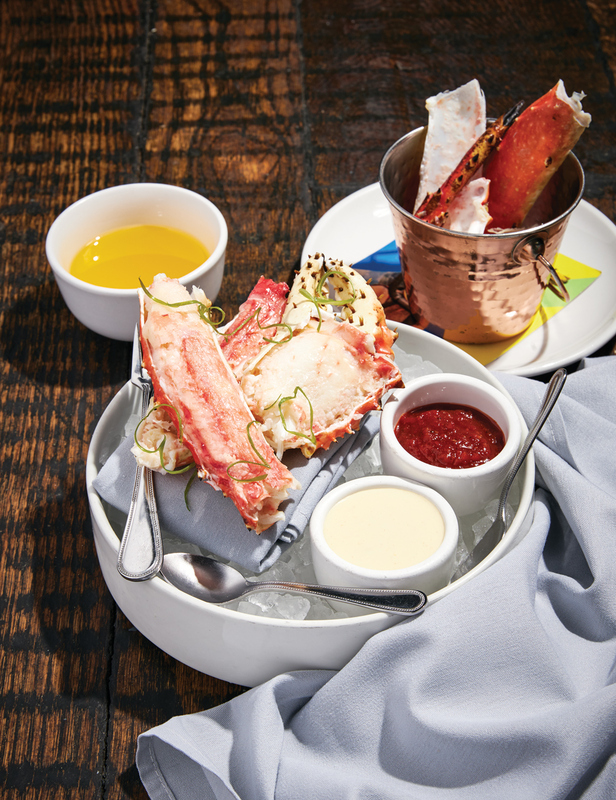 Proper seasoning, the freshness of the seafood, and the dizzying array of influences make it something special. (Where else can you get a pot of baked beans with mortadella served next to a Thai-influenced coconut curry halibut?) In its previous incarnation, several dishes were a roll of the dice. Today you can rely on this place.